- High quality 18in Stainless Steel Penta Burner. 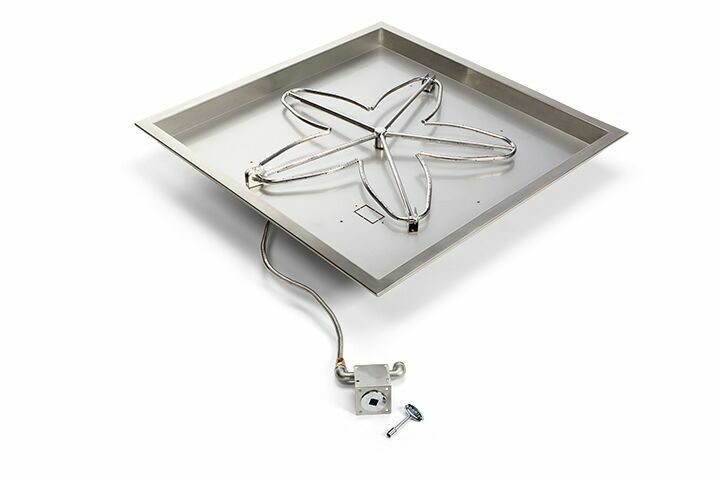 - 30in Stainless Steel Square Bowl Burner pan provides the base for your pit kit. This kit includes our new more efficient Penta Burner. Penta Burner has a unique flower shape that burns with an even more natural flame pattern. Made of quality stainless steel construction and compliance will not be effected but BTU's are lower and flame height is slightly higher with our Penta Burner. Stainless Steel burners are the most optimal for installation in areas that are near the ocean, or get a lot of rain or snow.